In Ireland we get dogs and people waving at their mothers. In New York they have fights in the background at sports events. 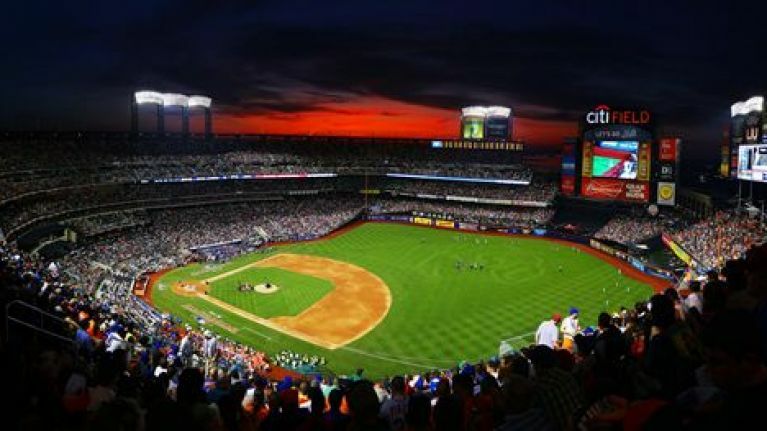 Last night the Home Run Derby was held at the New York Mets stadium, Citi Field, in, funnily enough, New York. It was won by the Yoenis Cespedes of the Oakland As but the real highlight, at least for most watching on ESPN, was a scuffle that broke out in the stands behind the analysts, former players Nomar Garciaparra and Mike Piazza plus host Chris Berman. You only get a brief look at it here as the producers cut away but they ‘fight’ is helpfully replayed in slow-mo in this video.